So when last night Chris and I decided to break out Flay’s Boy Gets Grill cookbook, it was sweet success all over again. We went with the “Fish Taco Party” scenario detailed on page 88 and cooked up some halibut with a citrus-cilantro marinade, along with an avocado-tomatillo sauce and a smooth tomato-serrano chile salsa on the side. 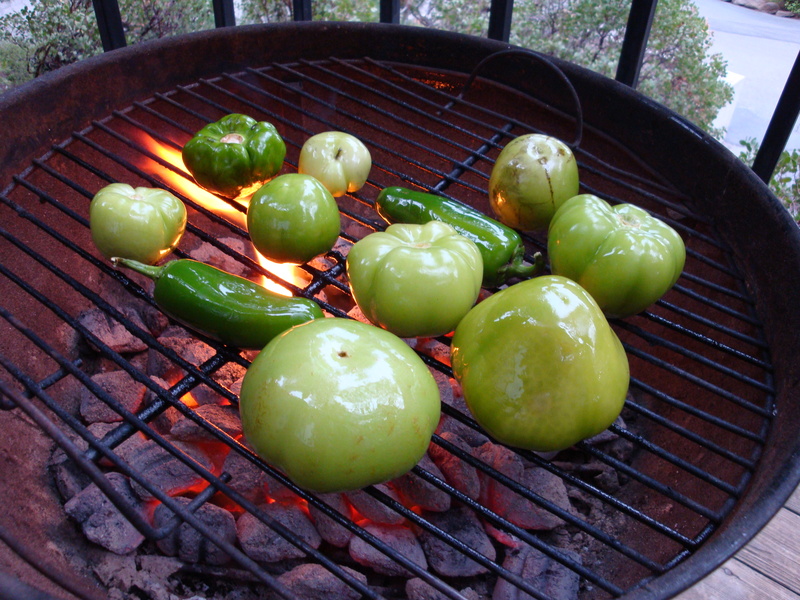 As you can see here, the avocado sauce started with tomatillos and jalapenos on the Weber. simply delicious.